Over the summer months, Melbourne has been a treasure chest of extraordinary architectural experiences. In case you missed them over the break, here is a three pack of summer specials. 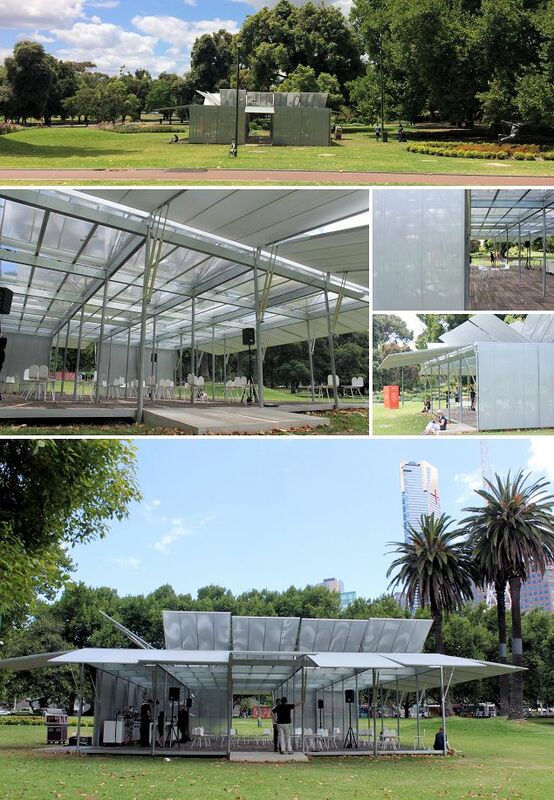 Situated in within one of Melbourne’s much celebrated public gardens, the MPavilion was an activity hub for discussions, performances and of course, coffee consumption. The MPavilion, designed by Architect Sean Godsell, is very much in keeping with his design ethos. Refined, distilled and precise, the pavilion is cool and calculating, robust yet light. For an excellent review of the MPavilion, check out Stuart Harrison’s piece for the Design Files. This particular MPavilion is the first of four temporary bespoke structures which will be designed and built for a particular summer season. A substantial thank you must be given to the Naomi Milgrom Foundation who will fund these four projects. This bold financial commitment, really highlights Melbourne’s excellent design and architecture culture. 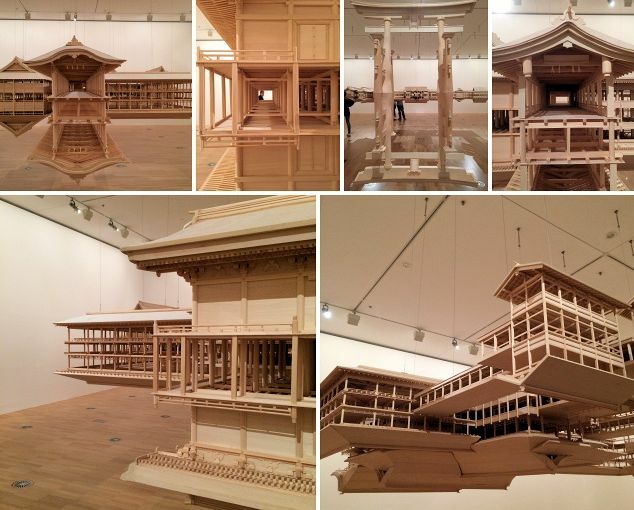 For an architectural model to be a full art exhibit in and of itself, it must be something spectacular. This is clearly the case for Takahrio Iwasaki’s Reflection Model of the Shinto Shrine of Itsukushima. This is the third and largest piece in the series of reflection models which explore the relationship between the building and the reflecting water. The scale and level of detail in this piece is extraordinary. Given the free admission price at the National Gallery of Victoria (International) it is very much a must see. The Reflection Model is open to the public at NGV International within the Asian Art Temporary Exhibitions until April 6 2015. This piece of temporary architecture, known as a luminarium, is really something that has to be experienced rather than described. It is an inflatable maze of geometric chambers which completely immerses the occupant in an environment of pure and vibrant colours. Inspired by Gothic and Islamic Architecture, Exxopolis is one of twenty different luminaria produced by Architects of Air. This experience was in someways similar to the enveloping experience of the current James Turrell exhibition at the National Gallery of Australia, albeit less refined and more whimsical. This whimsy and vibrancy however makes it particularly popular with young children. Melbourne has become a remarkable design city in recent years. When we think of this culture we naturally think of our permanent landmarks. Sometimes however the temporary can be even more breathtaking. They feed into the idea of Melbourne as an events hub whilst providing sustenance for deep thought, or a backdrop for summer fun.